--The photosensitive chip module uses OmniVision company's 1/4 inch OV5647 chip, It's able to deliver a crystal clear 5MP resolution image, or 1080p HD video recording at 30fps! Latest Version 1.3! 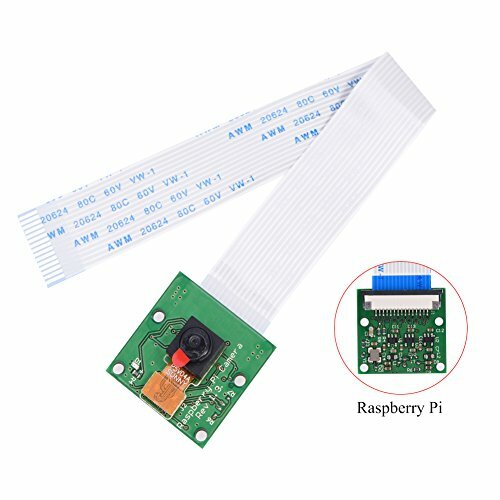 High Quality Camera Module Board for Raspberry Pi,The photosensitive chip module uses OmniVision company's 1/4 inch OV5647 chip, It's able to deliver a crystal clear 5MP resolution image, or 1080p HD video recording at 30fps! Latest Version 1.3!